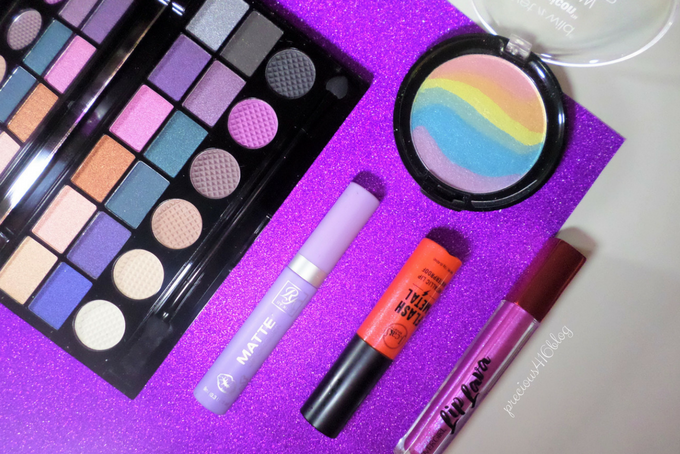 Trending now unicorn makeup, and it looks like the trend is going to be sticking around for a while. From iridescent pearly shades, to rainbow highlighters this makeup craze is all the rage on Instagram, and beauty brands like Tarte Cosmetics have created a collection with a unicorn theme called Make Believe In Yourself (read more here) but if you're like me and love affordable makeup and want to create a magical unicorn makeup look, you don't have to break the bank. 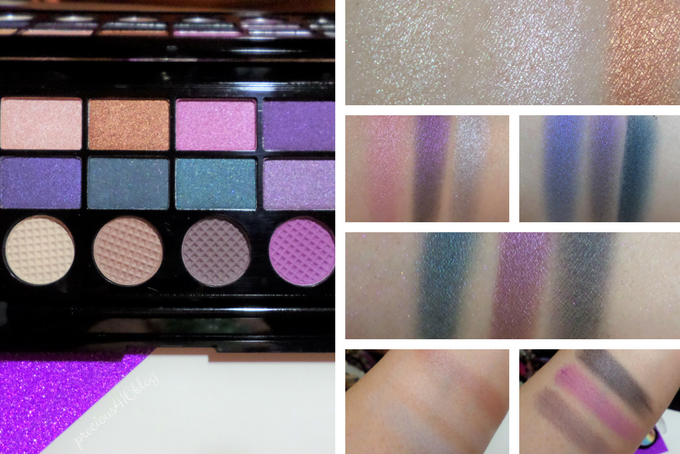 Drugstore beauty brands like Makeup Revolution, and Wet n Wild Beauty have also jumped on the craze and were one of the first (in my opinion) to release unicorn themed makeup at an affordable price that anyone can get their hands on. 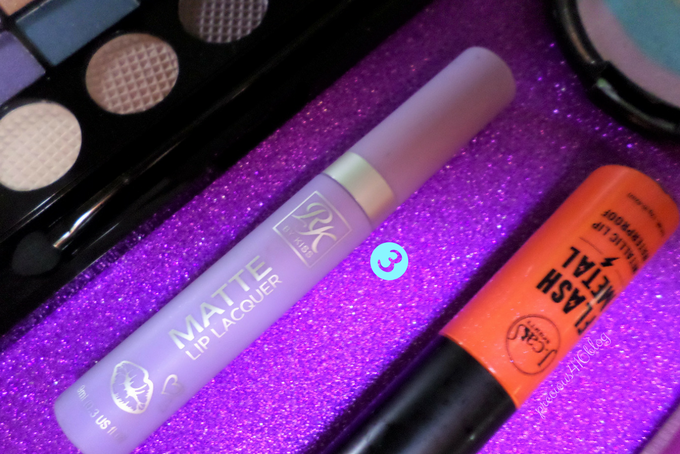 Plus if you're a beauty junkie, you probably already own some similar products, just check your stash like I did ;) Below I share my favorite unicorn themed makeup that won't break the bank. 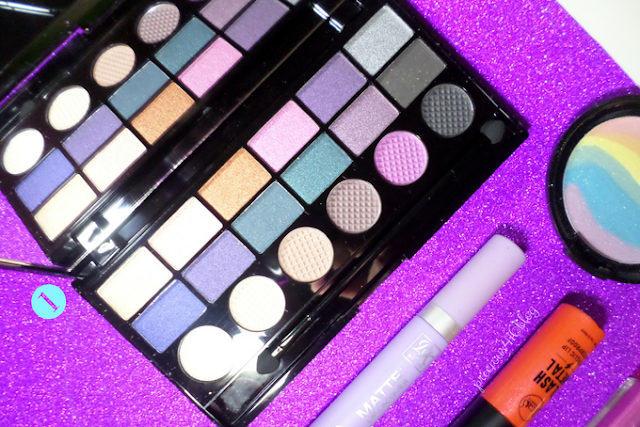 Save your money because who knows what the next makeup craze will be. Makeup Revolution says that the beautiful mythical creature was the inspiration behind the Unicorns Unite Palette. 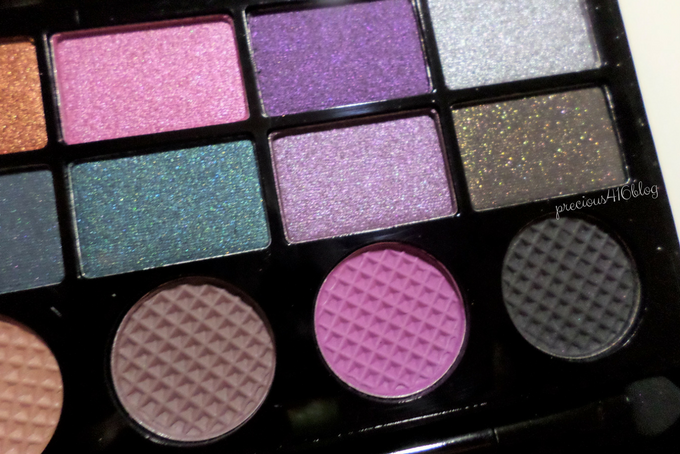 It features 12 jewel toned shimmer shades, and 6 matte shades that all have unicorn themed names like unicorn (the fourth shade on top), buttercup (second matte shade on bottom), and fantasy (third shade in second row). 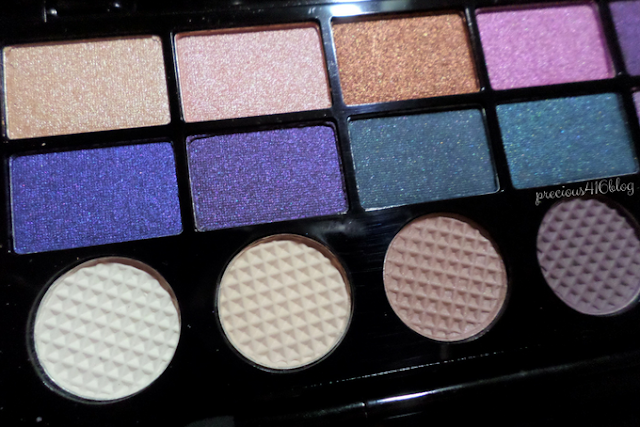 This is the most beautiful magical looking palette I own, and the pigmentation is absolutely impressive. You can achieve a beautiful unicorn glow with the Wet n Wild Beauty Color Icon Rainbow Highlighter in the shade Unicorn Glow. 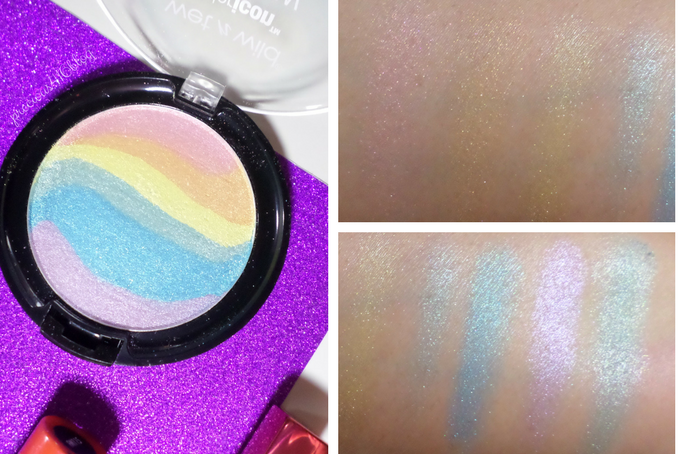 This highlighter features 6 pastel rainbow shades that can be applied to the high points of your cheeks alone, or swirled together to create a unique rainbow effect. I got my hands on Wet n Wild Unicorn Glow Rainbow Highlighter around September 2016, and now this baby is back with 2 more shades. The powders are fine, and give you the perfect pearly-shimmering glow. The Ruby Kisses Matte Lip Lacquer is a full-coverage hybrid lipstick to gloss that dries to a comfortable matte finish. The shade Wonderland is the perfect color to finish your unicorn makeup look. Wonderland is a pastel blue-lavender shade that's so unique and totally fun. Plus the price is so affordable. -Retails for $2.99 at your local beauty supply stores. 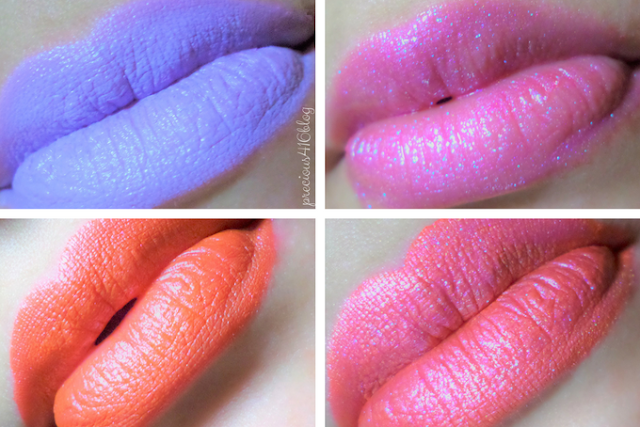 Metallic liquid lipsticks are so in, and I think that JCat Beauty's Flash Metal Metallic Lip in the shade Aphrodite's Scent is so unique and perfect for the unicorn trend. This baby is a waterproof, long-lasting matte metallic liquid lipstick that's infused with shimmer, and is full of pigment. One swipe is all you need for full-coverage color. 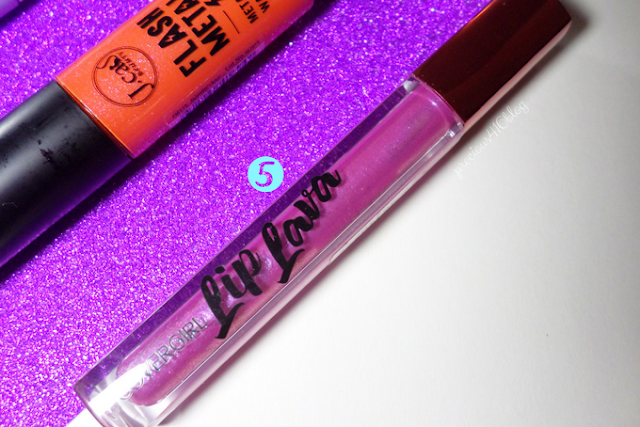 Lip glosses are making a comeback, but remember when CoverGirl released their Lip Lava's? They were one of the first drugstore brands to create what's so popular now shimmering lip glosses. 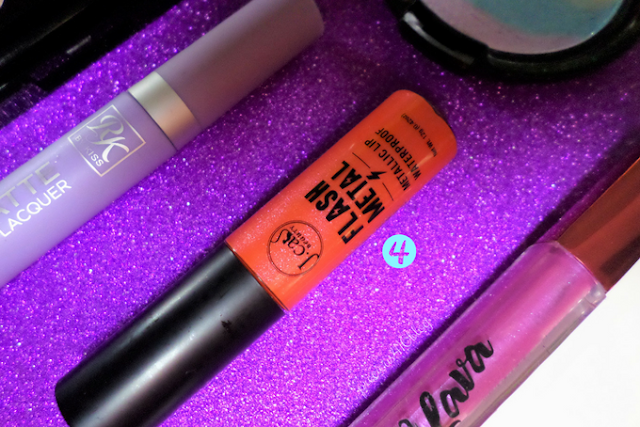 The good news is CoverGirl Lip Lava are so affordable and come in a variety of shades. My favorite is Oh La Lava, in my opinion it looks similar to Anastasia Beverly Hills new lip gloss in Moon Jelly just not as light. *So, what do you think of the unicorn themed products featured, will you rock the unicorn makeup trend?